Rotary kiln has very wide application in the manufacturing industry, and at the same time, it is one of the significantly important machines in cement production. 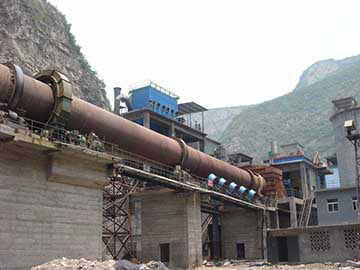 According to different processing methods, it can be divided in to wet process rotary kiln, dry process rotary kiln and dry and wet types rotary kiln; according to different processed materials, it can be divided into lime rotary kiln, clay rotary kiln, mineral rotary kiln and ore rotary kiln. The Rotary Kiln is thermal processing equipment for heating the bulk or slurry material and is used in various industries such as non-ferrous metallurgy, ferrous metallurgy, refractories, cement, environmental protection,chemical and paper industries. 2.Catch wheel: including two kinds mechanical wheel and hydraulic pressure. 3.Gears:single or double. Control the rotating speed by buncher, machine and frequency variable motor. Be reliable energy-saving, and efficient. 4.Cylinder type: lower bolster has three types: fixed, zoom and floating. The structure is simple replacement is convenient and won't hurt cylinder. 5.Sealing equipment: there are many kinds for choice according to kiln models, including air cylinder edge sealing. Spring edge sealing, graphite block sealing and combination for above. The feather is adaptive for cylinder rotating and swing. And sealing effect is very good. continuing to complete the process. Finally, the clinker enter into the cooler through kiln hood for cooling. Fuel is sprayed into the kiln through the kiln head, and exhaust gas produced by combustion exchanges with material, and then discharges from kiln outlet.